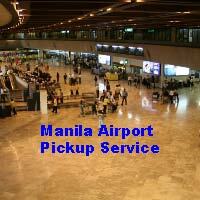 Bus transport Philippines, the main bus compaines and destinations in one place. The life blood of the Philippines. Bus transport Philippines is centred in the capital Manila. No matter where you want to go or how you want to get there, you need to start in Manila. All transportation, be it plane, buses or ferries start here. 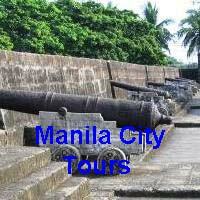 There is a bus service that will take you from Manila to just about anywhere in the Philippine Islands. Some will even transport you on ferries where required. Bus transport Philippines does not have a central bus terminal. 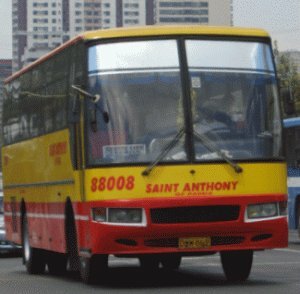 Each bus company has it’s own terminal and they are spread all over Metro Manila. Below is a list of some of the bus transport companies including contact details, Philippine bus routes and destinations. Destinations: Cagayan Valley in Region in the extreme north of Luzon. Destinations: Baguio, Laoag, Cagayan Valley, Dagupan, Ifugao, Kalinga & Isabela provinces. Destinations: Baliwag, Cababatuan in Nueva Ecija Province, San Jose del Monte in Bulacan Province. All in the far north of Luzon. Location: 33 Edsa, Cubao, Quezon City. Destinations: Baliwag, San Jose del Monte in Bulacan Province and Aparri and Tuguegarao in Cagayan Province which is in the far north of Luzon Island. Destinations: Calamba in Laguna province, Nasugbu in Batangas province, Lucena in Quezon province, Legaspi in Albay province, Naga in Camarines Sur province and Sorsogon province. BLTB will also travel into, Leyte & Samar. Destinations: Dagupan, Alaminos, Lingayen in Pangasinan province and further north to Baguio City and Benguet province. Both these provinces are in central Luzon. Location: 1600 Dimasalang Street, Sampaloc, Manila. Location: 832 Aurora Boulevard, Cubao. Destinations: Both terminals have bus transport Philippines to Benguet province and Ifugao Province in the Cordillera Administrative Region in the northern central area of Luzon. Destinations: The provinces of Abra, La Union and Ilocos Sur on the north west coast of Luzon. Destinations: The city of Vigan in Ilocos Sur province and the city of Laoag in Ilocos Norte province on the north western Luzon. Destinations: Dagupan and Bolinao in Pangasinan province, Cabanatuan in Nueva Ecija province in the north of Luzon island. Destinations: The provinces of Ilocos Sur & Ilocos Norte in the north of Luzon. Location: Edsa, Pasay City, Manila. Destinations: The city of Legaspi in Albay province, Lucena City in Quezon province, Naga City in Camarines Sur province and Sorsogon province all in the southern end of Luzon. Location: Taft Avenue, Pasay City, Manila. Location: New York Street, Cubao, Quezon City. Destinations: Batangas, Quezon and Laguna provinces south of Manila. Location: Aurora Boulevard, Pasay City. Destinations: The city of Legaspi in Albay province, Lucena City in Quezon province and Naga City in Camarines Sur province in southern Luzon. Telephone Numbers: +63 2 833 2949. Destinations: City of San Fernando in La Union province, Vigan City in Ilocos Sur province and Laoag City in Ilocos Norte province all on the north western coast of Luzon. Telephone Numbers: +63 2 731 4907. Location: 816 Aurora Boulevard, Cubao, Quezon City. Destinations: To the city of Baguio, Benguet province, Bangued in Abra province, Laoag City in Ilocos Norte province, San Fernando in La Union Province and the city of Vigan in Ilocos Sur province. All in the north west coast and Cordillera mountains of Luzon. Telephone Numbers: +63 2 725 7303, +63 2 724 9820. Destinations: south to Daet in Camarines Norte province, Legaspi City in Albay province, Lucena in Quezon province, Naga in Camarines Sur province and Sorsogon province all to the south of Manila on the southern end of Luzon. Also travels via ferry across to Samar Island and through Leyte and onto Davao City on Mindanao Island. Destinations: Batangas and Quezon provinces to the south of Manila on Luzon Island. Destinations: The city of Tarlac, Dagupan City in Pangasinan province, San Fernando in La Union province and Vigan City in Ilocos Sur province all in the north of Luzon.